Omar is 35 years old and lives with his wife and 2 children in the family compound Darboe Kunda. Omar started his business 2 years ago selling building and electrical supplies, his shop is in a prime site in the centre of Gunjur. If he is successful in obtaining a loan Omar would like to expand his business and eventually have another shop on the outskirts of Gunjur and be able to employ other young people. Omar is very interested in helping young people of his community, his dream is to build a youth centre were young people can get help to develop themselves as well as a place for recreation. 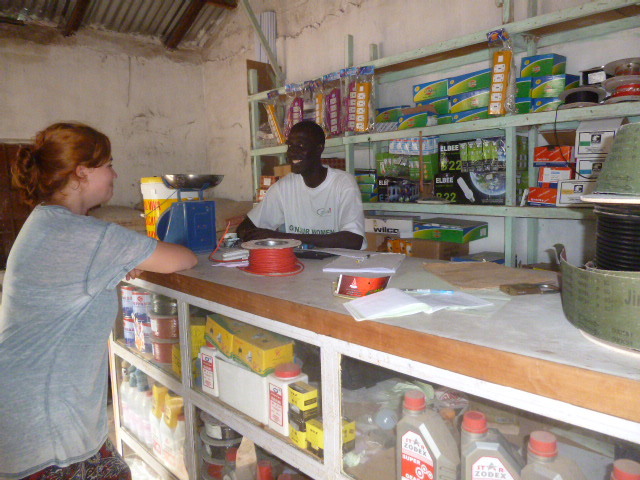 Omar is ahead of schedule with loan repayments and is sucessfully running a profitable hardware store in Gunjur. 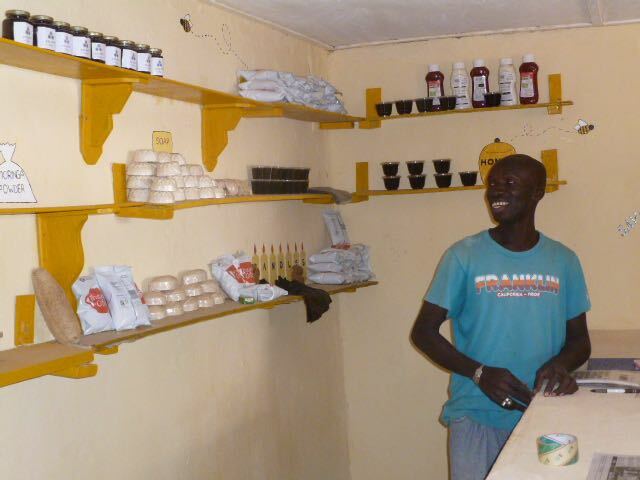 Omar has registered his business and increased the quantity of his stock. 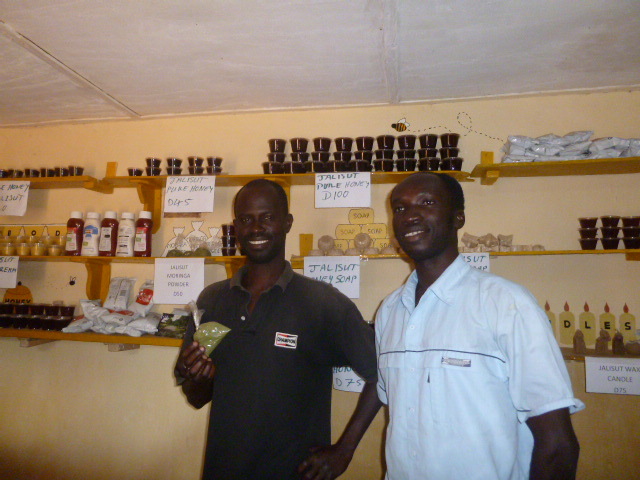 Omar is now able to purchase larger quantities making the items cheaper so is able to make a larger profit. 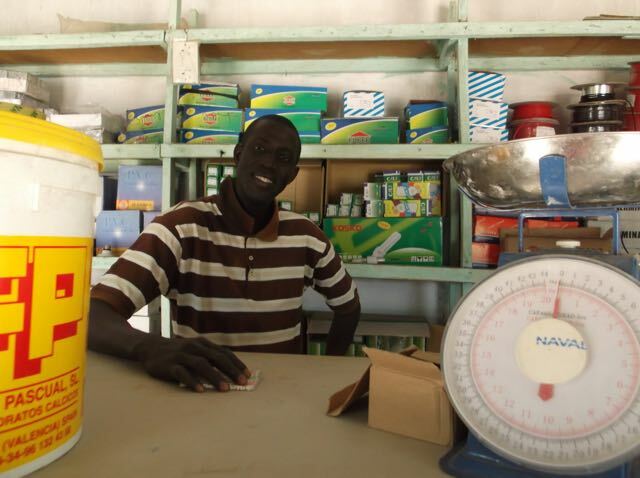 Omar is keeping a stock book recording sales so he knows when to buy more stock, he also keeps a daily cash book and has a savings account at a bank in Brikama. The community rely on him for building and electrical supplies. Omar is a great ambassador for the loan scheme and is encouraging other young people with businesses to apply. Ndey is a young hairdresser living in Kazi Kunda. She is 21 years old. The small amount or equipment in her saloon Ndey has purchased herself without any help from family or donors. The majority of her work is at the weekends when there are many weddings and naming ceremonies. Ndey is training 2 young assistants who help her at her busy times. If Ndey is successful in obtaining a loan she wants to expand her business, at the moment she is based in a small room attached to her compound, to expand she will build an extension making her saloon twice the size, as it is in the family compound she does not have to pay rent. Ndey is now running her highly successful hairdressing salon using new electrical equipment bought with her loan and has plans to extend the rather cramped premises in which she is working. 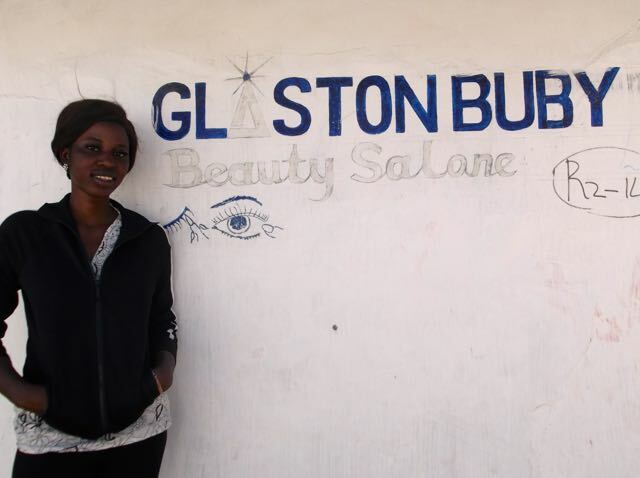 Seen here in her salon and returning her loan repayment on time and receiving a receipt from Buba Touray, the manager of the Gunjur Youth Development Programme.